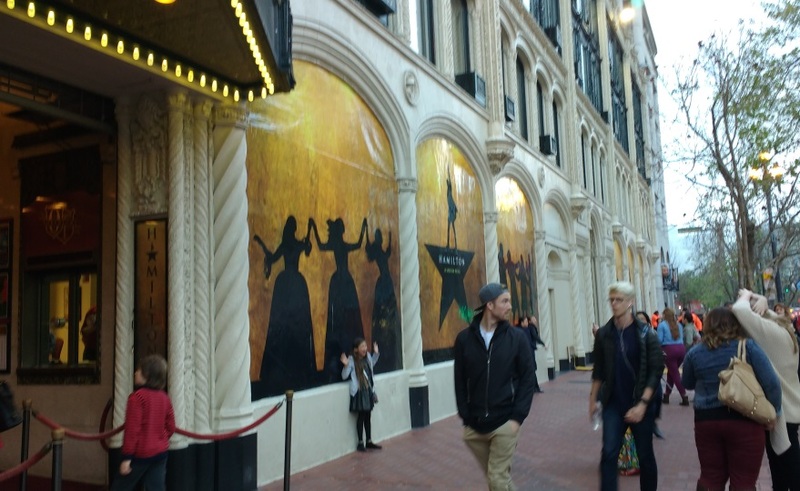 Hamilton’s audience starts gathering outside SF’s Orpheum Theatre an hour before the show. That’s where you can enter daily to win 2 seats @ $10 each for this ludicrously expensive, totally sold-out, absolutely unmissable 21st-century celebration. 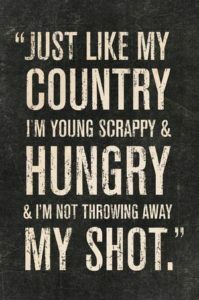 Yes, a mostly rap musical about the Founding Fathers probably clashes with your idea of the most fun you’ve had in years. But, surprise! Whichever direction it stretches your comfort zone, it’ll leave you feeling expanded and illuminated. Yes, every ticket for the show’s entire 6-month San Francisco run was snapped up long before Hamilton hit town. But you still can — and should — see it. Yes, the list price for tickets in the 2200-seat Orpheum Theatre ranges from $100 (partial-view balcony) to $868 (orchestra). But who cares? since (1) there’s hardly any tickets for sale, and (2) there’s a daily lottery (see above). And, yes, that ticket-sales tsunami means a bonanza for a few lucky people. But it’s also how 35 actors of multiple colors and body shapes, plus a 10-member orchestra, plus a full crew and staff, are able to support themselves while utilizing their gifts, skills, time, and labor to do the work they love. 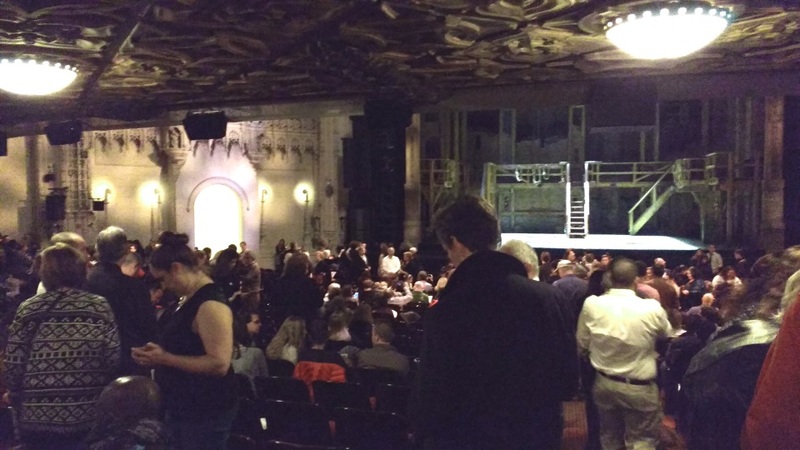 Intermission at Hamilton: the Orpheum’s carved wooden ceilings, plaster castle walls (L), Moorish lamps, and diverse, elated crowd are an apt set for the show’s 2-level Gothic-rustic set (R), multi-ethnic American heritage, and buoyant creative energy. 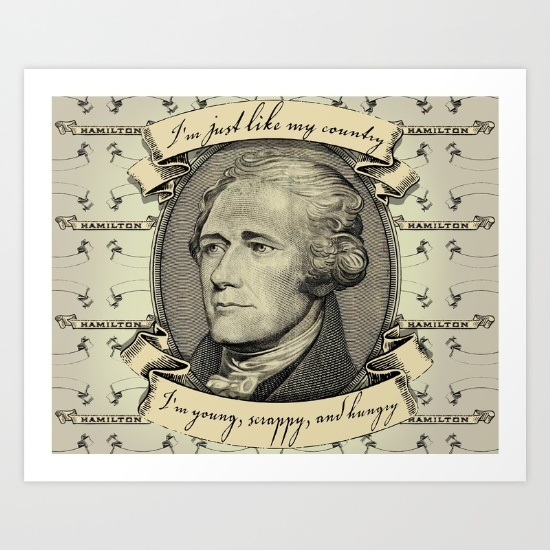 Yes, Alexander Hamilton is a far more intriguing and complicated man than he looks on the $10 bill. 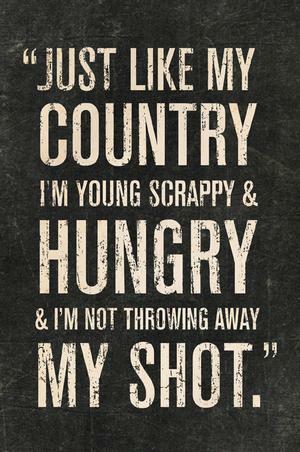 So are George Washington, Thomas Jefferson, Aaron Burr, the Marquis de Lafayette, and King George III. So are the remarkable Schuyler sisters, Hercules Mulligan, John Laurens, and others who looped in and out of Hamilton’s orbit. But how would we know that if not for this show’s brilliant creator, Lin-Manuel Miranda (book, music, and lyrics), and his collaborators Alex Lacamoire (music supervision and orchestration), Andy Blankenbuehler (choreography), and Thomas Kail (direction)? Yes, Ron Chernow’s massive, comprehensive biography Alexander Hamilton, which Hamilton is based on, has been eclipsed by Miranda’s musical version. But nobody’s complaining. Yes, there will be school essays, doctoral dissertations, magazine features, and blog posts written for decades to come about the ingenious diversity of Hamilton‘s music, its incisive thumbnail analyses of American history, its mind-bending approach to choreography, and much much more. But if you plan to be in the SF Bay Area in the next 6 months, this is what you need to know.